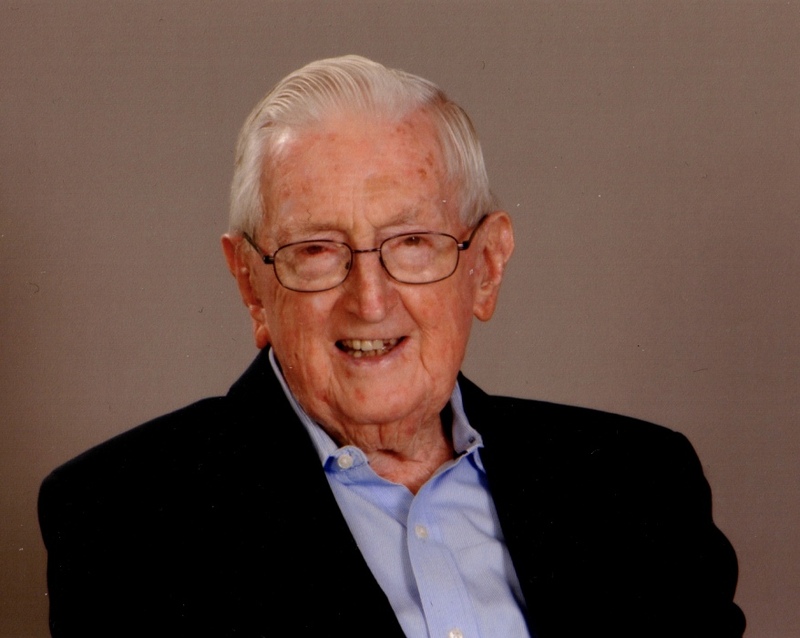 Edmund J. Clegg, Jr., 93, of Barrington, RI died January 31, 2019 after a brief illness. He was the husband of the late Claire Messinger Clegg. Born in Warwick, RI on November 1, 1925, he was the son of the late Edmund J. Clegg and Mary (Egan) Clegg. Mr. Clegg was a graduate of Bryant College and Providence College. He was the sole owner of a successful accounting firm in East Providence for over 40 years. He was a lifetime member of the American Society of CPAs. Mr. Clegg was active in many civic organizations including the East Providence Boys Club, RI Jaycees, East Providence Rotary Club, Wannamoisett Country Club and the Goff Family Association. He is survived by his daughters and their husbands Sandra G. Nash, Denver, CO, Deborah C. Stein (Michael), Scottsdale, AZ, Cynthia C. Merkle (Philip), Swampscott, MA and Pamela C. Marquez (Antonio) , Rockville, MD; his grandchildren Jason Nash, Jessica Peña, Katharine Stein, Elisabeth Patterson, David Stein, Hana Merkle, Sarah Merkle, Alexander Marquez and Nicole Marquez; and great grandson Logan Patterson. He was the brother of John W. Clegg of Warwick, RI and the late Marie McGrady and George V. Clegg. A Mass of Christian Burial will be celebrated Monday, February 4, 2019 at 10:00 am at St. Luke’s Church, 108 Washington Road, Barrington, RI. Burial will follow in Rehoboth Village Cemetery. Visiting hours are on Super Bowl Sunday, February 3, 2019 from the hours of 1:00 to 4:00 pm at J. H. Williams & Co, 210 Taunton Avenue, Route 44, East Providence, RI. In lieu of flowers, gifts in his memory may be made to Hope Hospice, 1085 North Main St., Providence, RI 02904.